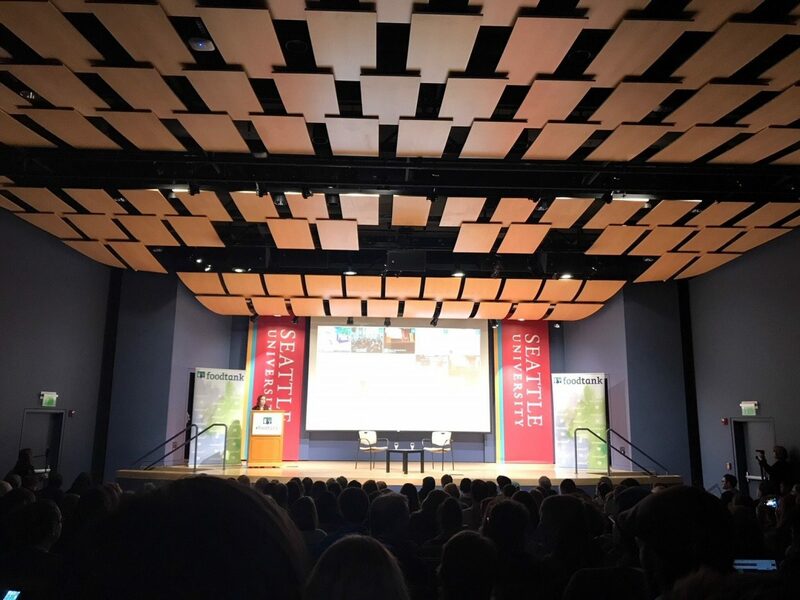 We are thankful for the opportunity to attend the first Food Tank Summit in Seattle on March 17th. It was a day of insightful discussion of the local and national food system, what is working (not working), and how leaders across the political and professional spectrum are bringing change, new ideas, old ideas, and energy to our most important resource: food. While the discussion centered mainly around agriculture, and specifically the future of agriculture, a lot of the issues could also be applied to seafood. Did you know that just 1% of the US workforce works in agriculture? And of that, just 6% of the 1% are people under age 35? And that the average age of a US farmer is 58? A recent study by the University of Alaska-Fairbanks reported that the average age of fishermen in Alaska is now 50. During the summit we heard from US Rep. Earl Blumenauer (D-Oregon) on the farm bill and how it could better serve farmers; Rosalinda Guillen, Executive Director of Community to Community Development, a Washington farm worker advocacy organization; we heard from local farmers, state, city, and county food policy experts, and many many others. Ms. Guillen reported that the life expectancy of a Washington farm worker is 49, and that the majority of people who work on farms in Washington cannot afford to feed themselves. There is so much work still to be done, whether at the national, state, or local level, to make our food system healthier, more sustainable, and more inclusive. The Food Tank Summit was a great place to hear and meet people on the frontlines of bringing better food to more people.